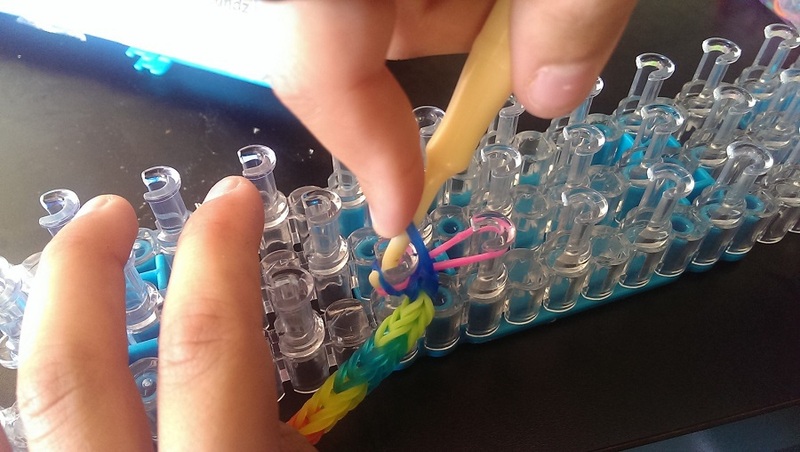 Our children are immersed in the Rainbow Loom craze right now. 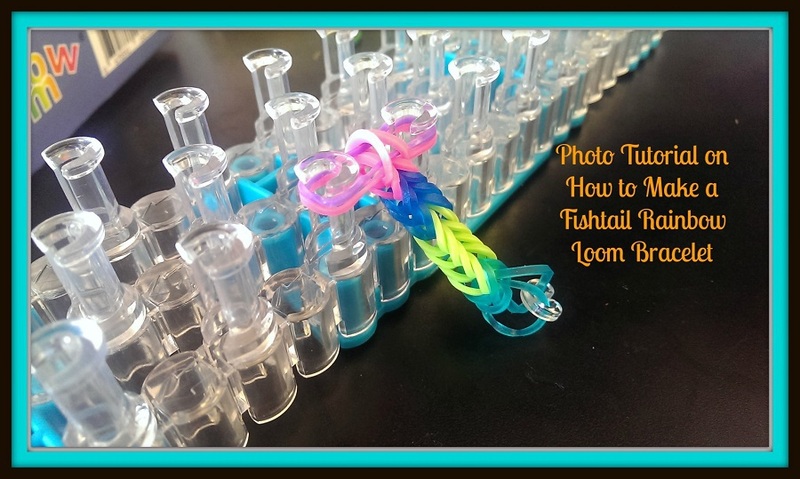 This photo tutorial on how to make a fishtail Rainbow Loom bracelet will walk you through each step so you or your children can create a bracelet, necklace, or ring. 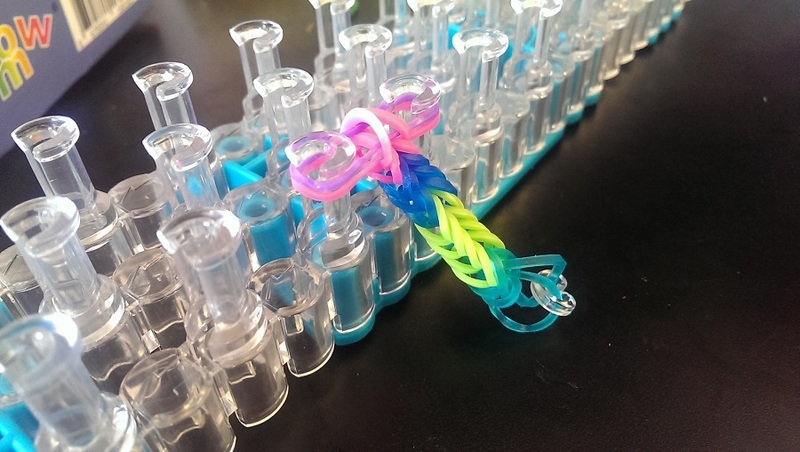 This Photo Tutorial on How to Make a Fishtail Rainbow Loom Bracelet will walk you through each step so you can create a bracelet, necklace, or ring. 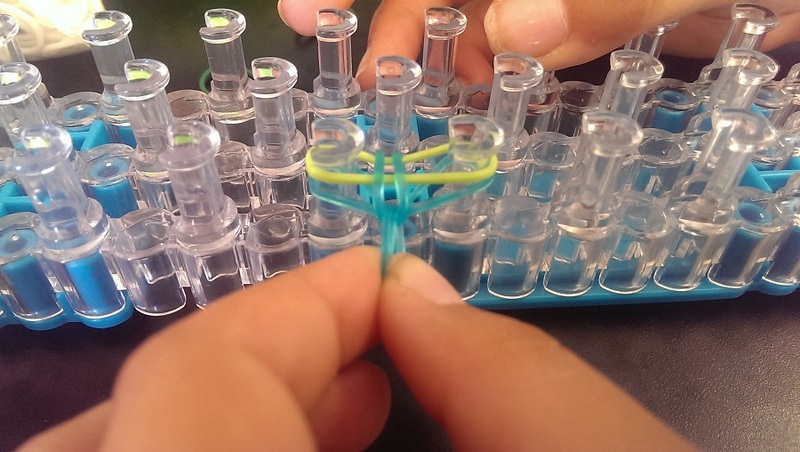 Step 1: Twist or make a figure eight with a Rainbow Loom band. 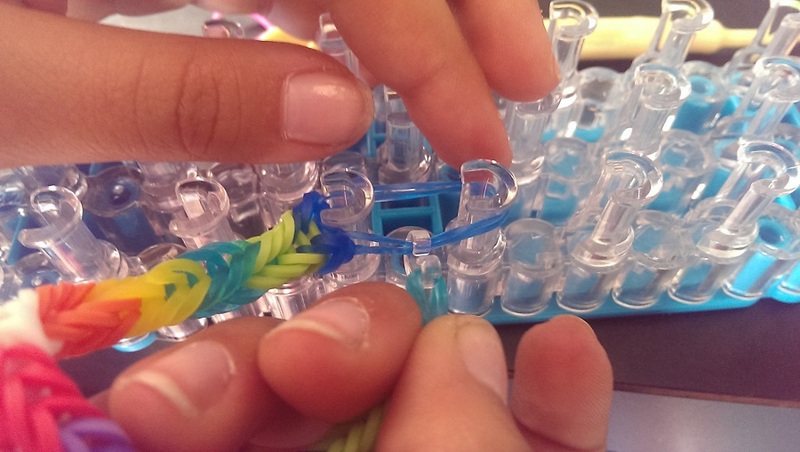 Step 2: Place it on the Loom and push the band down to the bottom. Step 3: Place two more bands on the Loom. Step 4: Hook the left side of the lowest band and pull it over the top of all of the bands, which at this point will be three total. 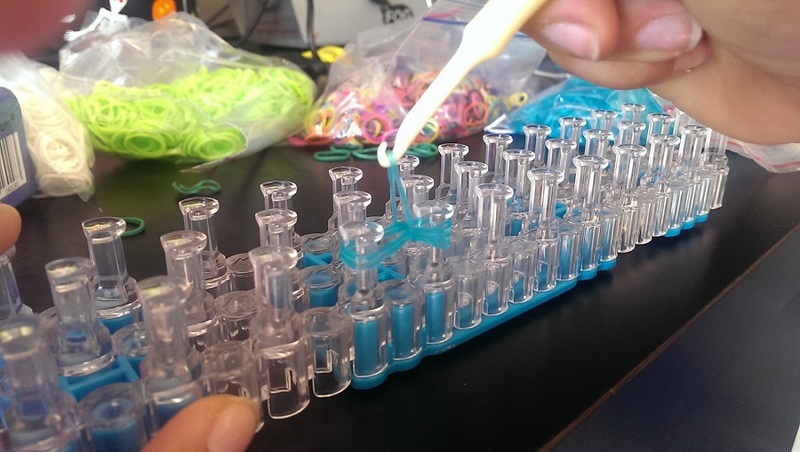 Step 5: Repeat this procedure on the right and push the bands down on the Loom to make space for additional bands. When you finish pulling both sides of the bottom band to the top, you should be able to pull the band and it will look like this. 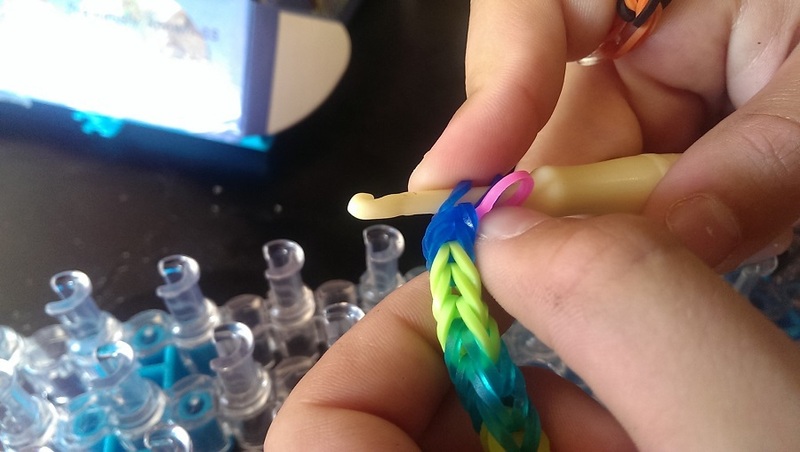 Step 6: Since you will be doing a lot of pulling to make a fishtail Rainbow Loom bracelet, place a C or S Clip on the end of the band that is pulled out and closest to you. 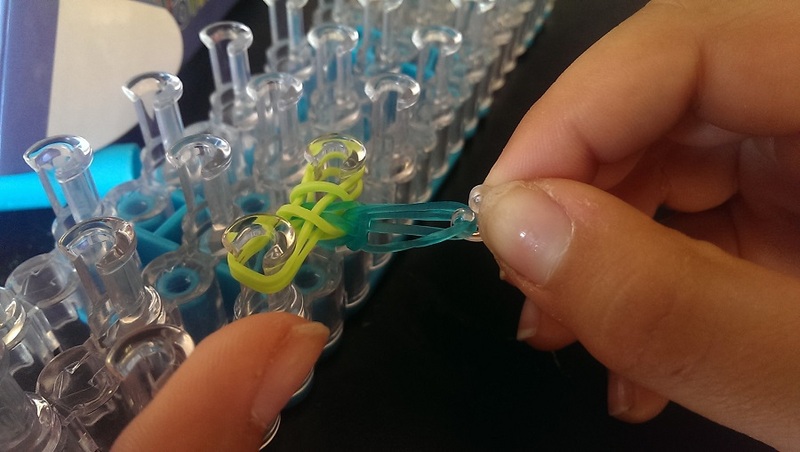 You can use the clip to pull each time as you make the fishtail pattern. Step 7: Place one band on the top of the existing band pile on the Loom. Do not twist it. Step 8: Hook the left side of the bottom band and pull it over the top. 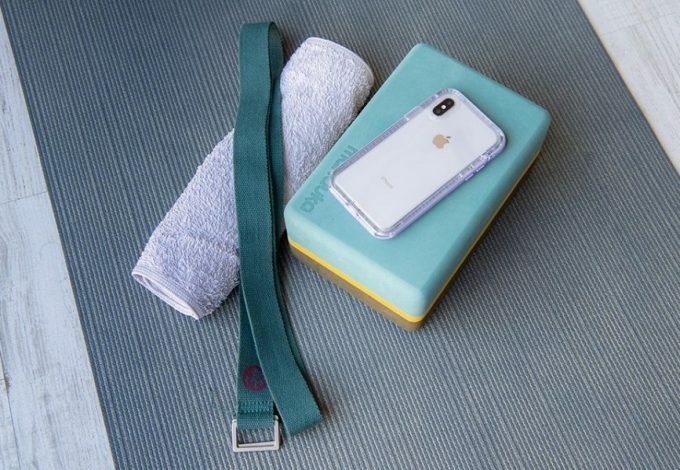 Do the same with the lower right side of the band. 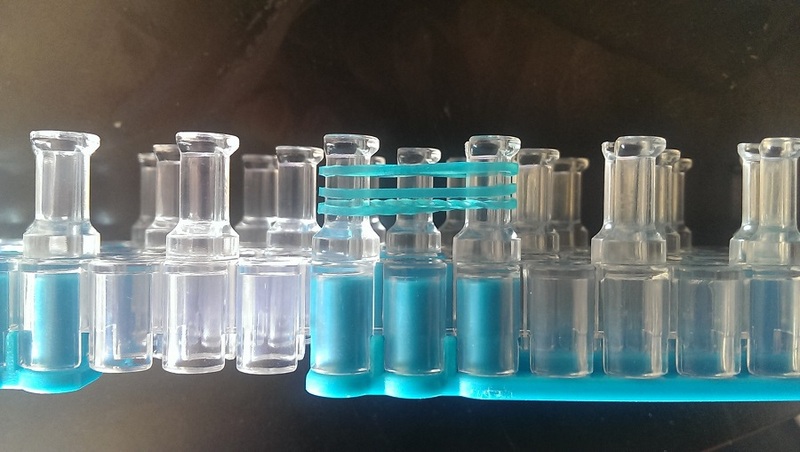 Pull your C or S Clip to tighten the fishtail pattern. 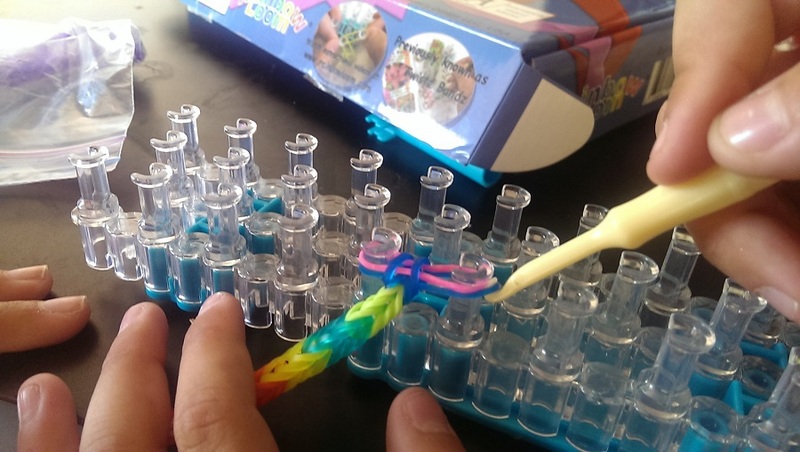 Step 9: Repeat Steps 7 and 8 until your Rainbow Loom bracelet is the length you want it. Continue to push the bands down as they are placed on top to keep the fishtail tight. 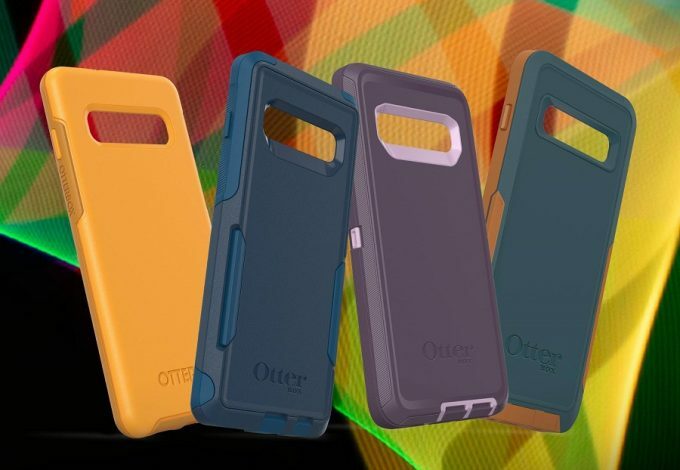 You can add any colors you want so be creative in making your pattern! 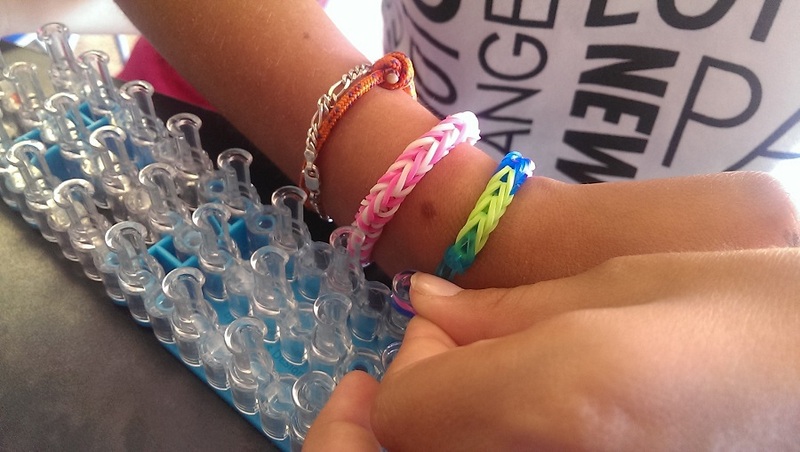 Step 10: While the bracelet is still on the Loom, wrap it around your wrist to make sure it is the proper length. It should pull slightly but not too much. Step 11: This step starts the process of finishing your bracelet. 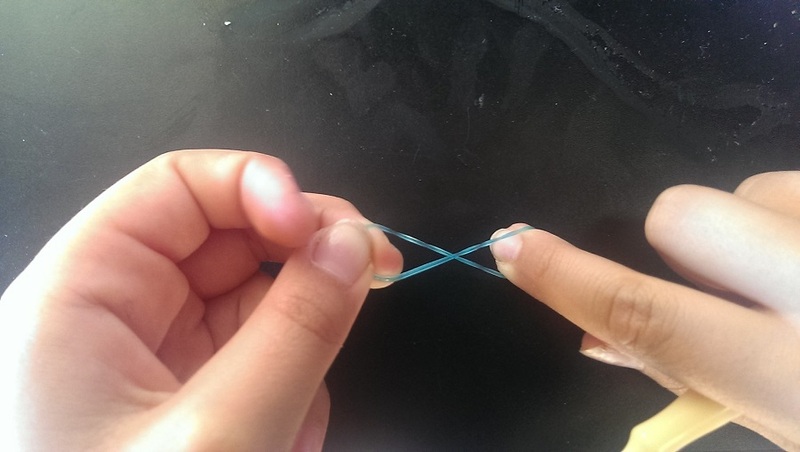 Use your hook to loop through the right side of the band that is on the bottom. 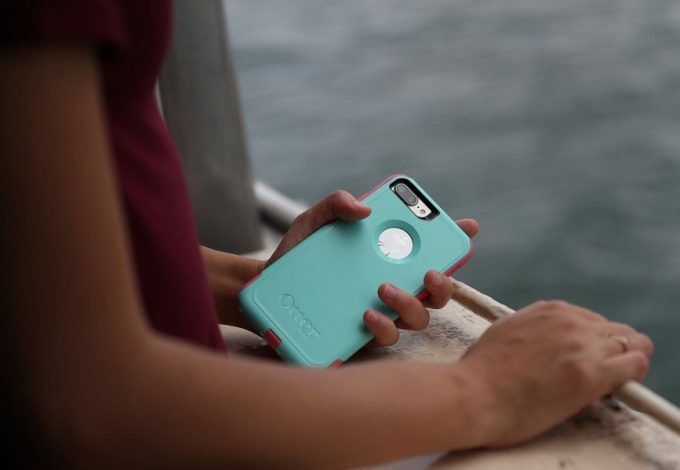 In our case, this is blue. 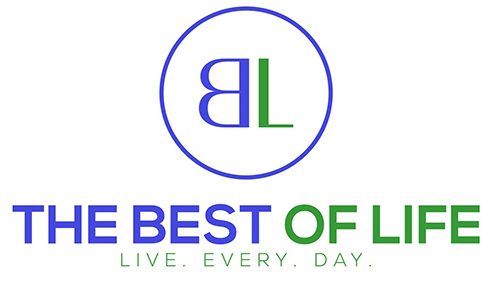 Step 12: While keeping the band attached, pull the hook over the top and book the left side of the lowest band. Step 13: Pull both of pieces of that band over the top of your hook. 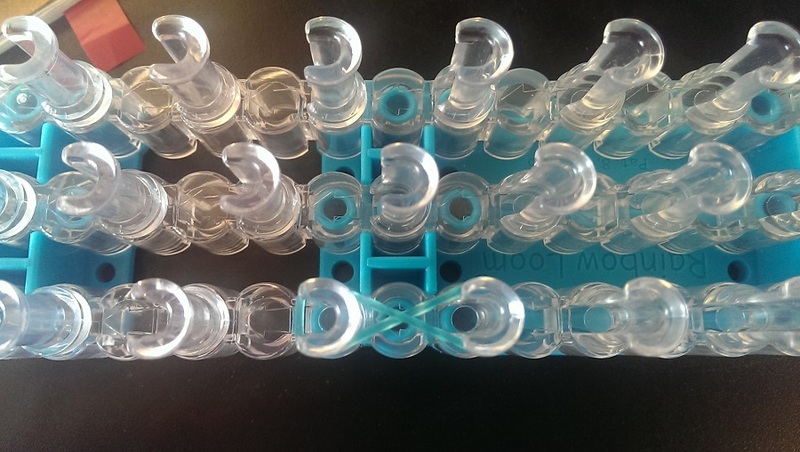 Step 14: Stretch the two loops of that band over two loom posts. 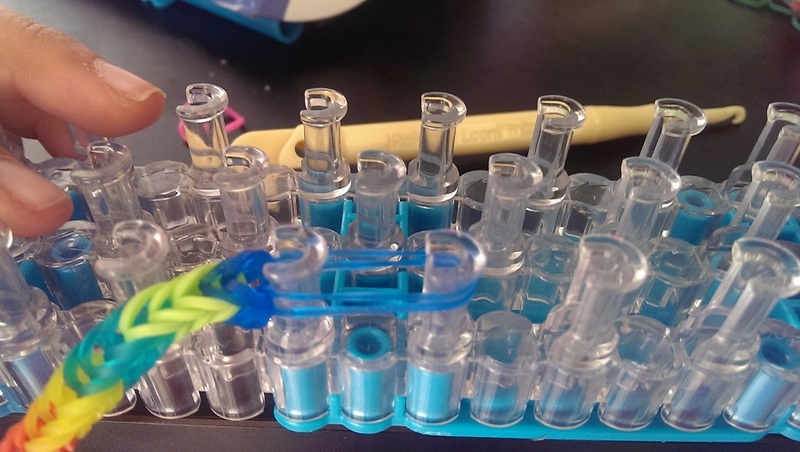 Step 15: Loop your clip around the two band pieces to form a complete closure for your Rainbow Loom accessory. 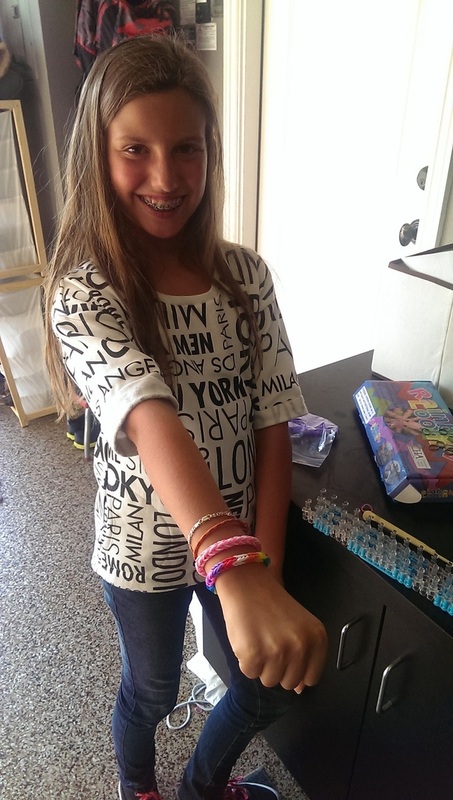 Now, give yourself a pat on the back and go show your Rainbow Loom accessory off! 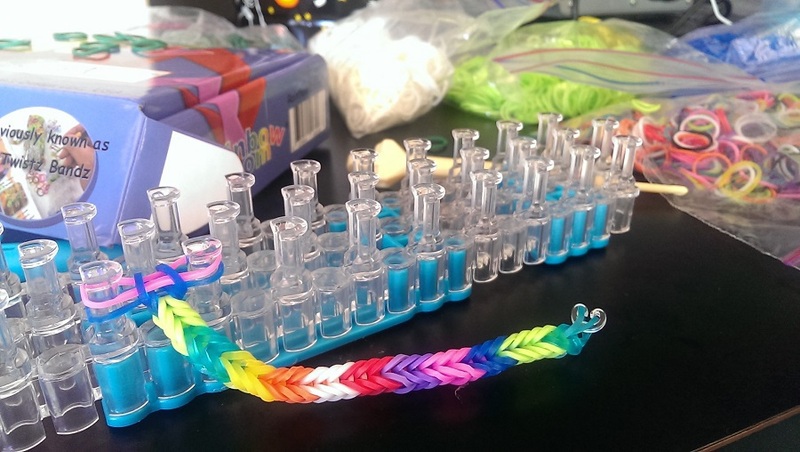 Don’t forget to stock up on supplies for your own Rainbow Loom bracelet maker!